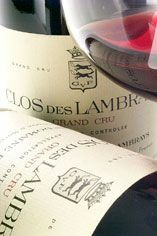 Domaine des Lambrays was established in 1363 yet it was only in 1981 that this climat was finally promoted to Grand Cru. The estate was purchased in 1996 by the Freune family and since then dramatic changes have taken place, leading to an upsurge in quality. At 8.8 hectares, this is the largest Grand Cru parcel in Burgundy under one proprietor. As well as the grand cru itself, the Domaine also owns vines in premier cru and village vineyards in Morey, and since 1993, two premier cru vineyards in Puligny Montrachet, les Folatières and Clos du Cailleret, purchased from Domaine Chartron. Winemaker Thierry Brouin has been in charge since 1979. The vineyards are run on more or less organic lines, with no chemical anti-rot sprays, and ploughing of the soil by horse. In the cellar, he likes to use the majority of the stems, favours punching down over pumping over, and prefers to restrain the amount of new oak – around 50% for the grand cru. The produce of young vines is downgraded to Morey St Denis 1er cru where it joins the fruit of tiny holdings of La Riotte and Le Village. The village Morey comes from La Riotte, Clos Solon, Les Larreys and especially La Bidaude which lies just above the Clos des Lambrays. Domaine des Lambrays produces wines which possess balance, power and finesse and which fully live up to their Grand Cru status. All whole bunch fermentation, with 50% new wood. Palish in colour, it is lovely and elegant, with very stylish floral notes and fresh, crunchy red fruit and plenty of minerals. This has the drive and energy of the 2008 but with a little more weight of fruit. It is a lovely expression of Lambrays. 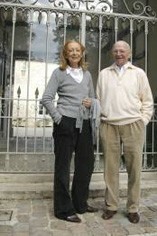 Since last we spoke the domaine has been purchased by LVMH, though Thierry Brouin has remained in charge. No immediate changes are expected, except in one respect. While 2013 remains a very small crop (27 hectolitres per hectare for the village wine, 25 hectolitres per hectare for the Clos) it is at least much more than last year. Thierry Brouin is extremely happy with his 2011 vintage which has produced a little more wine than in 2010. “It is very good this year, very Lambrays”, he says. Once more the pricing for this near-monopoly Grand Cru has been kept very reasonable. As ever, the grapes were picked early and the stems were retained for the Grand Cru. There was little or no rot but Thierry took care to eliminate any under-ripe grapes on the sorting table. Inside Burgundy: The Côte de Beaune is the first volume is available for £14.99 on the Apple iBookStore. It is accompanied by the first edition of an innovative new Annual Report on Burgundy by Jasper Morris. Inside Burgundy The Annual Report 2012/13 is downloadable for free. Very pure, with very elegant raspberry and dark cherry fruit, this fills the mouth without ever becoming heavy. It has an immensely long, silky finish, still displaying notes of cherry and peony as well as a little pepper spice. 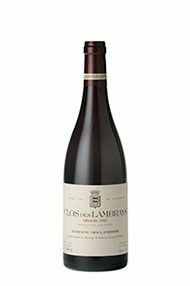 Glowing purple colour with a seductive and complex nose, this Clos des Lambrays has a multi-layered palate that is infused with a generous helping of ripe black fruits. The tannins at the back are perfectly in balance..
All the stems were used in vinification but, such is the intensity of the fruit, they don’t show. This is a rich, plump purple with a surfeit of ripe, velvety red fruit. It is very clean, very pure and very direct: lots of stuffing and lots of stems give this a very tight profile for the moment. This will take a bit longer than some vintages – but promises to be first rate. Thierry Brouin, whose successor at the Domaine des Lambrays is about to be unveiled, is very happy with 2014, his 36th vintage in charge here. He began picking on 22nd September, relatively late by his standards, and is happy to have produced a little more wine this year (with the exception of the Premier Cru). This is made with 95 percent whole bunches and 50 percent new wood. With a lovely, noble mid-purple colour, the Clos des Lambrays starts discreetly, like other early-picked wines, then absolutely explodes into action. This is unquestionably glorious in its own classic style – a heavenly wine, in perfect balance. Drink 2024-2035. Thierry Brouin, who will be retiring by the end of 2017, appears to be finishing on a high with superb vintages in 2015 and 2016. It is not a large crop in 2015, just 30hl/ha for the Grand Cru, but – like everybody else – Thierry appreciated the long, sunny summer and the healthy grapes. As always, he was amongst the earliest pickers, starting on 3rd September. Very heady, fine, ripe, graceful fruit dominates here, with the stems beautifully integrated. A refreshing touch of acidity at the back of the palate enhances the experience of this brilliant wine which finishes in a state of grace and elegance. Maintaining his reputation as being one of the early pickers, Thierry Brouin, the experienced régisseur of Domaine des Lambrays, started on 22nd September in fine weather. He loves this vintage and with good reason. 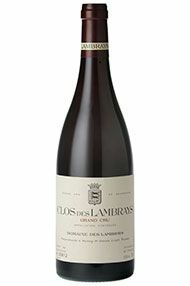 The Clos des Lambrays in particular is a sublime wine. But as with most domaines in 2010, yields are significantly down. The majority of this cuve is made up of the younger vines from the Clos, along with some Premier Cru vineyards. The stalks provide backbone but only in the context of a succulent sea of fruit that sweeps all before it. Terrific. Drink 2012-2020. This has a little less whole-bunch this year (85 percent) and 50 percent new oak, as usual. This really goes through the gears. To begin with, the colour is profound. The bouquet has a brilliant interplay between spice and dark fruit – cinnamon one moment, damson the next. Finally the whole performance is sewn together by a carefully worked infrastructure of silky tannin and tightly woven acidity. 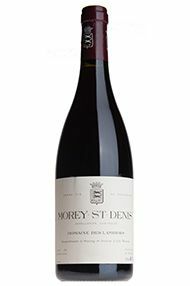 This is a very special example of both the style of the domaine and Morey-St Denis itself. Drink 2025-2035. 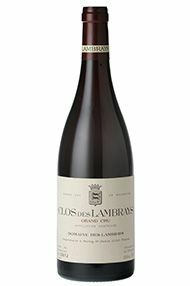 The Clos des Lambrays was established in 1363 yet it was only in 1981 that this climat was finally promoted to Grand Cru status, as it deserves. The estate was purchased in 1996 by the Freund family who sold on in turn to LVMH in 2014. Winemaker Thierry Brouin has been in charge since 1979. The vineyards are run on more or less organic lines, with no chemical anti-rot sprays and ploughing of the soil by horse. 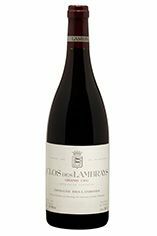 In the cellar, he likes to use the majority of the stems, favours punching down over pumping over and prefers to restrict the amount of new oak – around 50 percent for the Grand Cru. This is Thierry Brouin’s last vintage before his successor Boris Champy takes over. Morey was spared the frosts, so there is an air of unbridled optimism here. A cold spring left only a touch of frost on the vineyards under the trees, but otherwise the vines were untouched. Similarly, the mildew – which was exceptionally problematic for some growers, especially if they were organic – was controlled effectively. August was even warmer than in 2015 and timely September rain made this a fine year at the domaine.